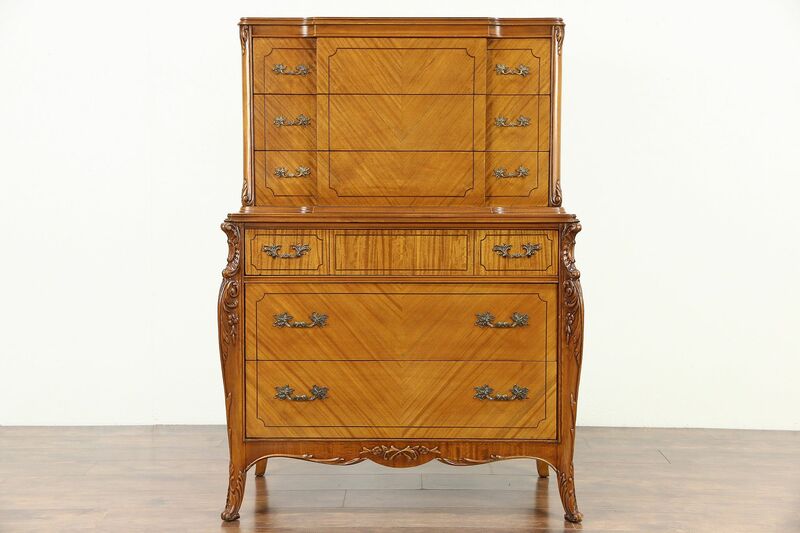 An elegant highboy or tall chest on chest was richly carved in the French manner with matched shimmering satinwood panels, and dates from the 1940's. The restored finish is in excellent condition on this American made vintage furniture. Drawers have dovetailed joints and original embossed hardware. Size is 39" wide, 22" deep and 54" tall.